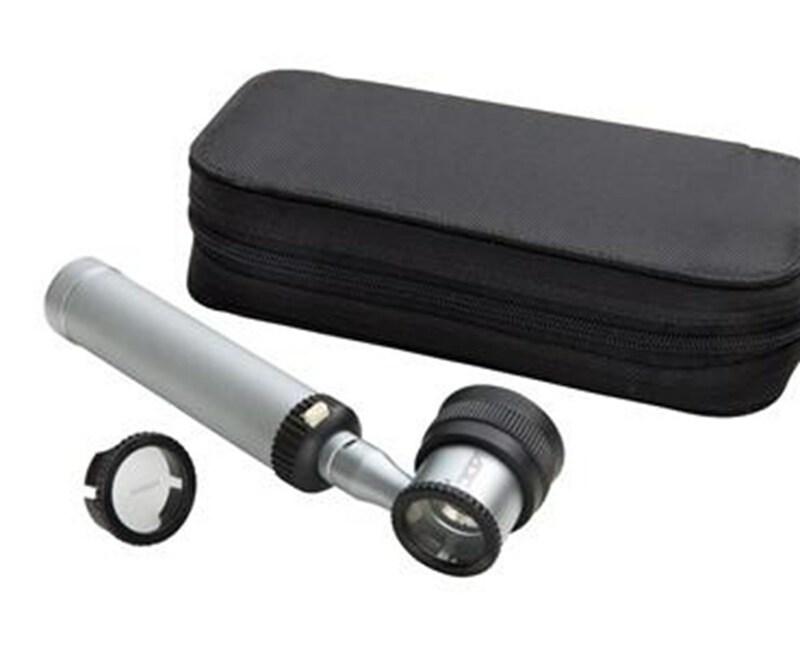 The ADC 5312 2.5v Dermascope Set is a compact, easy-to-use skin microscope for detecting and measuring skin lesions. Its many high-quality features make it comfortable, convenient, and accurate. The dermascope's bright 2.5v Halogen illumination, 10x optic system, +/-5D focal range, and 25mm focal length ensure true tissue color and accurate identification. Itsreticle contact plate etched onto the lens in millimeters permits easy measurement of suspicious lesions, and the removablecontact plate is auto-clavable for worry-free cleaning and sterilization. 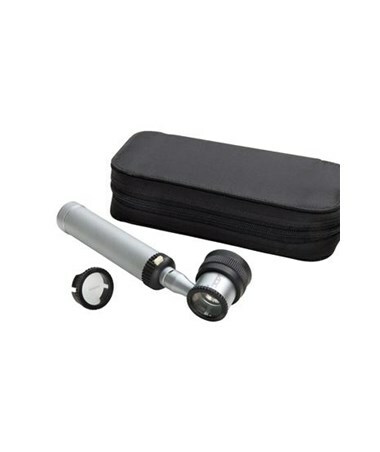 The ADC 5312 2.5v Dermascope Set is convenient and simple to hold and use. It includes a large knurled focusing ring, comfortable soft synthetic rubber eyepiece to avoid eye injury and eyeglasses damage, and a knurled handle with rheostatic on/off switch for a positive, ambidextrous grip. The instrument head locks securely onto the battery-powered handle with a bayonet locking mount. The entire set comes complete in a nylon zippered pouch that holds and protects the instrument and a spare contact plate. Its lifetime parts warranty to ensure your peace of mind, high-quality features, and portable and lightweight size make it a perfect choice for regular use.